A downlight is a light fitting (luminaire) that lights in a downward direction to highlight the below object or area. Downlights are a great way to create zones, navigate around the space and highlight your key pieces in your home/project. Take a look at our Project Showcase to see how we have used downlights and incorporated other lights into our lighting schemes. What are the different variations with a downlight? It all depends on what the downlight will be used for; is it for highlighting a piece of artwork on a wall or for illuminating the dining table? There are many uses for a downlight and it is just about buying the right type with the correct specification. What is the difference between a downlight and a spotlight? Downlights are installed into the ceiling or wall so whilst a spotlight is fixed onto a wall or ceiling as demonstrated in the below images. What do I need to consider when buying downlights? 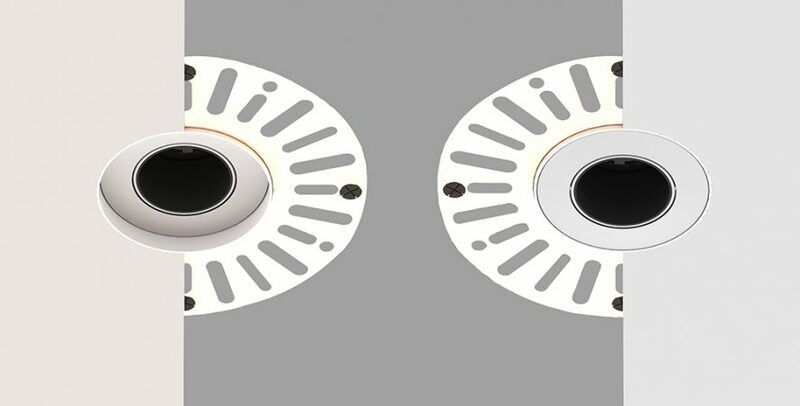 When buying downlights, you will need to consider the function of the downlight; the space in the ceiling recess for the type of engine that you want to use; the ceiling materials and which accessories you need to buy so it fits correctly; and the ceiling height as to whether you need to use our 50+ engine. What do I buy when I buy a downlight? When you buy a downlight, you need to think of the product, engine, driver and any accessories that you will need. Please speak to a member of staff to buy the correct configuration depending on the use and where it will be fitted. Where is the best place to position a downlight? Is there a specific number of downlights that I should be using? The best place to position a downlight is dependent on the use of the room for example in a kitchen it would be to highlight the inside of the cabinets, workspace and table whilst in a living room it would be above the coffee table, artwork and navigate around the room. 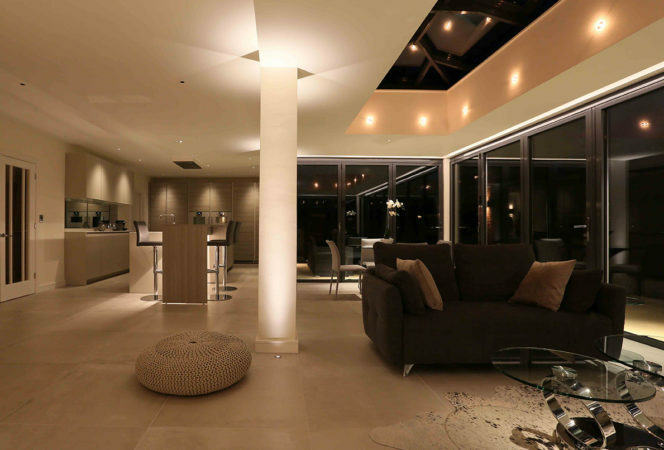 Don’t forget to put different lights on different circuits to be able to create different zones and effects especially in an open plan living area. How do I install a downlight? If you are not a trained electrician, we would suggest hiring one to install the lights. Can downlights be dimmed or put on a circuit? Yes if set up correctly they can do both. Take a look at our lighting controls guide to find out more. I have a halogen downlight can I change them to an LED downlight? In theory yes, we have a halogen upgrade accessory for certain downlights. We suggest speaking to a member of staff to understand the full picture and the best solution for you. If you have any other questions that we have not answered, let us know. Find your local office to speak to a member of staff.